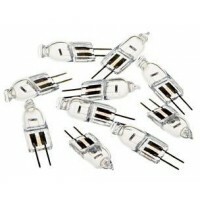 G4 and G9, 20W, 25W and 40W clear and frosted halogen light bulbs. 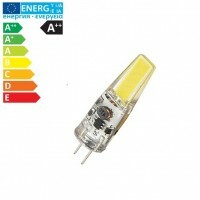 Base: G9 Power: 40W Color Temperature: Warm White (3000K) Life span: more t..
Base: G9Power: Eco 28W = 40W. 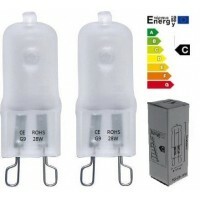 (Energy Efficiency Category C) *NB The Economy bulb uses 30% less ener..
Base: G9 Power: 25W Color Temperature: Warm White (3000K) Life span: more t..
Base: G9Power: Eco 18W = 25W. 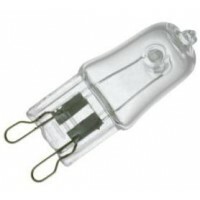 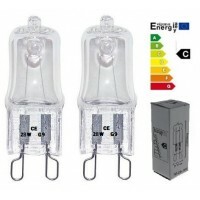 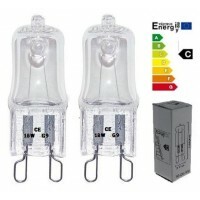 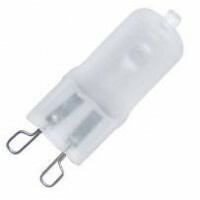 (Energy Efficiency Category C) *NB The Economy bulb uses 30% less ener..
A 25W G9 Halogen bulb suitably designed to withstand the extra heat produced within an oven cooker.B..